The valley is full of mystery and intrigue enhanced by its secluded nature. The ancient woodland that is the predominant feature covers the steep valley sides, a stream winds its way along the valley floor, occasionally appearing and disappearing into holes and sinks in the limestone, and wet meadows fringe its banks. 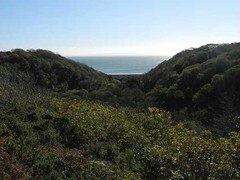 The valley has a colourful past, once used by smugglers, miners and quarry workers, visible evidence of which can be seen as you walk through the valley to Pwll Du Bay. The buildings in the bay were once public houses that served the quarry workers. 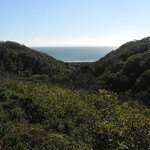 From Pwll Du Bay you can access Pwll Du Local Nature Reserve. Site of Special Scientific Interest (SSSI) and Local Nature Reserve.